When I finished the journal above I decorated the cover and sketched a self-portrait as I do for the last page of each sketchbook. 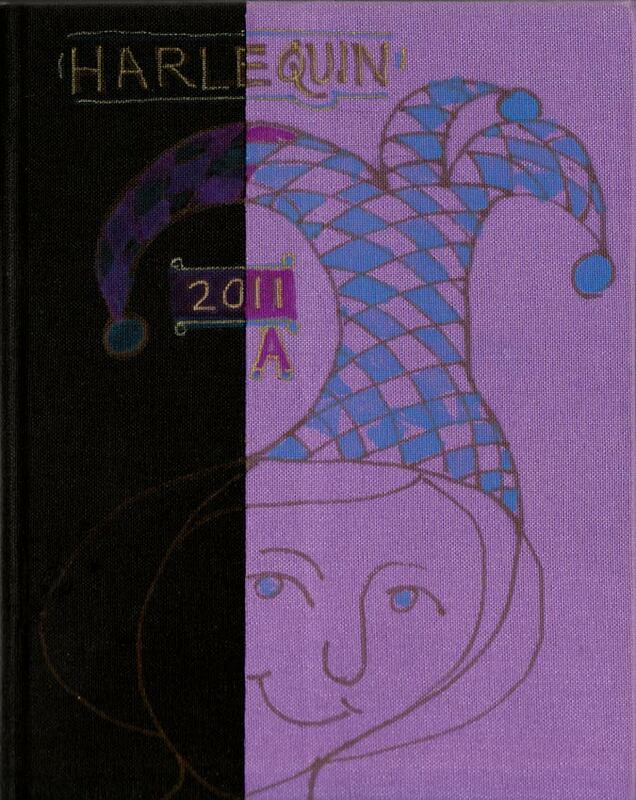 This journal is called Harlequin (theoretically because of the multi-colored cover–the back is turquoise, the front is lavender with black spine covering). I know the word “harlequin” has nothing to do with patching together leftover bits of bookcloth to make a cover, but I let my sketchbooks name themselves and this one wanted to be called Harlequin. I used (expensive, oil-based) Sharpie Paint markers for the color on the cover but they didn’t show up at all on the black and required several layers on the lavender. Despite the art store clerk’s recommendation, Sharpie Paint markers are not meant to be used on fabric. Annoyed with the markers, I switched to a gold gel pen for the words and lines. 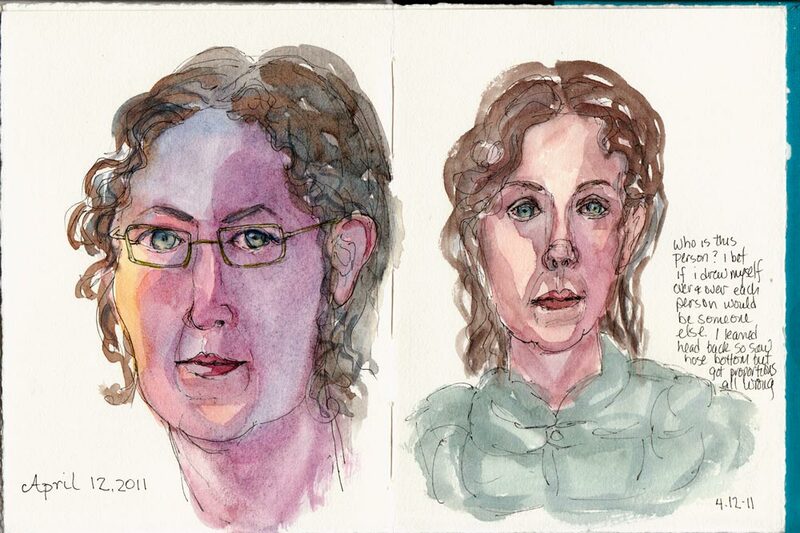 These are the two journal-ending self-portraits sketched on the last spread of the book above. I don’t know why I refuse to try for accuracy when I sketch self-portraits. I just draw and see what happens instead. The first one (on the left) feels like me, even though the proportions are wrong. The one on the right is wrong in so many ways I might as well have been drawing a completely different person. I’d planned to experiment with dying my own bookcloth for the new journal like Shirley does, but when I went to the store to get the Wonder-Under (iron-on stuff to fuse fabric to paper backing) I fell for this linen fabric and used it instead. My adventure on the previous journal was figuring out how to patch the bookcloth together. This one was figuring out how to fuse the fabric to the Thai Mulberry paper per Shirley’s instructions (the hardest part was figuring out how to peel the almost invisible paper backing off the Wonder-Under). Maybe next time I’ll dye fabric. I’ve also updated my file How to Bind a Watercolor Journal (as I do each time I bind a journal and learn more) and it’s available to download on the Comments & Resources page of my website, JanaBouc.com. I laughed about your comments regarding the self portraits. They sound exactly like what I would say and do (and have happen!). Fabulous!!!! 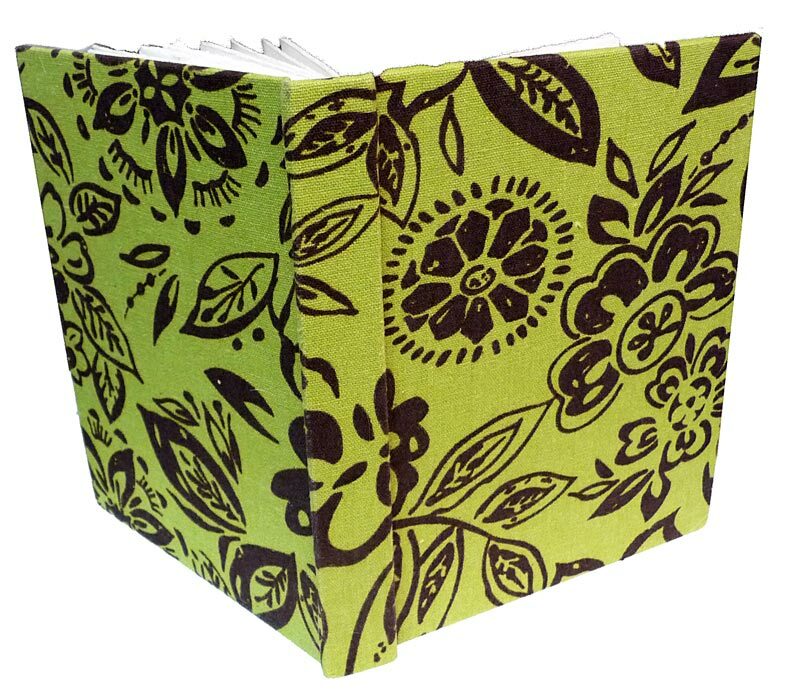 And thanks so much for all of the references to my blog and bookbinding adventures. It is soooo much fun and I think using the personal sketchbooks adds another layer of enjoyment. Don’t you? Your handmade books are wonderful, and your self-portraits are so brave. “Just draw and see what happens.” Now that is pure drawing. I think it is so marvelous.